Three ways you can defend your company's SEO from hackers, scammers, con artists, and the competitors who hire them. February 6, 2019 by Joe Taylor Jr.
Search engine optimization usually comes up early in our team’s conversations with company leaders who want to attract new business. Even though we still believe that you’ve got to spread your marketing energy between your paid, earned, and owned channels, SEO can still provide you with a strong traffic boost. However, we also like to spend time thinking about the ways that “bad actors” can weaponize negative SEO to hurt a company. When I say the phrase “bad actor,” I’m not talking about how you’re tearing me apart, Lisa. 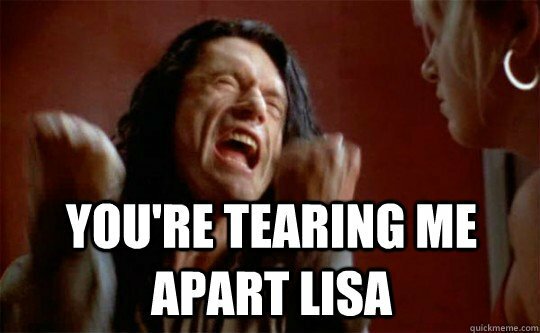 You’re tearing me apart, Lisa. It’s a nickname that security professionals use to describe a coterie of scammers, hackers, con artists, and other criminals that have some bizarre interest in bringing your company down. When your competitors hire them, they’re going to use weird tricks and underhanded tactics to attack your search engine positioning, your social media handles, possibly even the integrity of your entire digital presence. If you hire one, you might see some quick wins and early gains across your key performance indicators—only to see your brand kicked off social media, delisted from search engines, and cancelled from your customers’ purchasing plans. Dozens of spammy backlinks showing up against your website. Fake negative reviews from “customers” you’ve never met. A sudden surge of complaints to your web host, or to your social media platforms, especially copyright takedown complaints. Spam websites listing your name, the names of your employees, or your brand name tied to unsavory keywords. Real world examples include a seemingly random attack on WordPress podcast, and a fired SEO company who may have wanted revenge. Protect yourself by learning about negative SEO scams and tactics, and following some of these best practices. The most harmful type of negative SEO occurs when someone breaks into your site and changes it. They might break the code or replace content on your site to that reveals their their mission. If their site is “malicious,” Google may penalize your site for linking back to it. Hackers can even change your robots.txt file to virtually make your site invisible to search engines. We’ve written before about hardening WordPress against attacks. These days, we also urge our clients to upgrade their hosting with end-to-end HTTPS security, two-factor authentication, and SFTP access. One of the most prevalent types of negative SEO attacks is to fill a site with spam links from a link farm, which can quickly cause your site’s search engine standings to drop. While you can’t prevent this from happening altogether, you can monitor links going to and from your site to spot any strange spikes in linking behavior, and nip the problem in the bud before it gets too serious. Set up a weekly routine to disavow any links that look like they’re coming from disreputable sites. Another negative SEO strategy is to effectively steal your content to compete directly with you for Google’s attention. Google completely ignores duplicate content and only promotes the first version it finds, which could render your new copy irrelevant. This is why it’s so important to only have completely original copy on your site. To prevent copy “scrapers” from ruining your hard work, run your copy through a web tool like Copyscape on a regular basis to spot any copycats as soon as possible. You can also report scrapers Google by filing a report. Don’t let black and grey hat SEOs get you down, and don’t make yourself a target for scammers who want to turn your brand into a quick buck.